For the past couple of weeks I've been experimenting with crypto mining and started with Claymore's dual miner to learn that I can dual mine both Ethereum and Siacoin out of the box, I put my mining rig as it is and let the machine to mine coins for me. 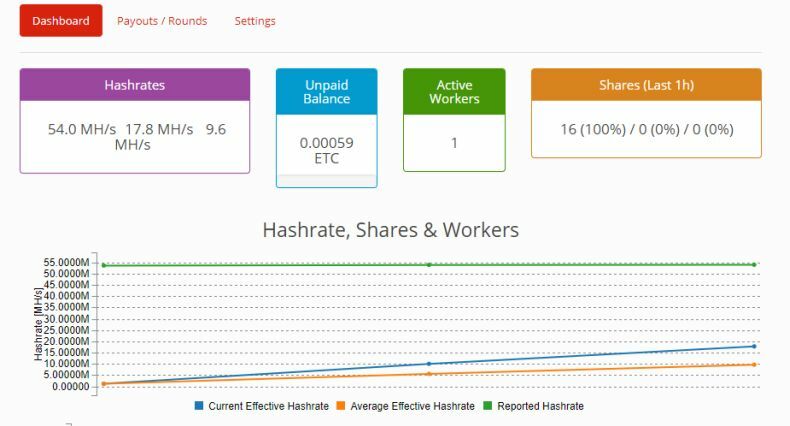 See: I'm Making $0.98 Per Day By Mining Ethereum and Siacoin, and I want MORE! Meanwhile, in crypto space, a lot has happened, and I decided to explore my options to mine some other coins using SimpleMining OS, which IMHO is awesome. 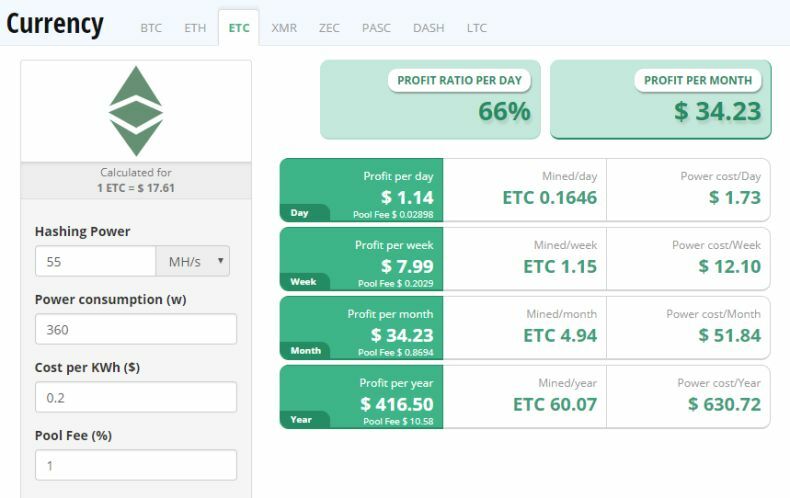 Now, I decided to explore my options mining other altcoins, at start I wanted to test mining Monero, but as I have a mixed AMD + NVIDIA mining rig, seems Simplemining is not yet supporting both cards for Monero, and it looks like just Ethereum and Ethereum Classic is supported with mixed cards on Simplemining, that's how I ended setting up ETC mining rig. Save the group and reload the miner. Check if everything is fine here like you can see mining speed, temperatures and so on. If there is some valuable lesson I've learned in the short time I've been into mining - these calculators are nice estimates, but it's not advisable to make any future forecasts (longer than a week) based on results you get from them. Crypto space is volatile, prices go up and down, so does mining difficulty. But yes, for rough estimates - they are great. Now, it doesn't look very profitable mining $34.23/mo with 55MH/s (current cost for my mining rig is $1,661), and if using rough estimates, to get back ROI from ETC mining it would take me 48 months (that's 4 years), while mining Ethereum the same hash power would give me ROI in 2 and a half years. If you are for a quick buck ETC won't make you very rich overnight, but if you are willing to experiment, probably to mine some ETC in the hopes that in the future it could appreciate in value, sure go for it. With cryptomarkets tanked at the start of 2018, and my idea to take a pause before adding more graphics cards to mining rig (before reaching ROI 20%), I've decided to experiment with some other coins to mine and ETC is among one of them (the others - Monero, Zcash). I'm not saying no to Ethereum mining, I'm saying - switching between ETH and ETC like once in a day (in a couple of days) or week. I believe ETC still has some potential for the future, and most probably after Ethereum POS the most hash power will go to Ethereum Classic - I would love to have some coins mined already by that time. As they say - to the Moon!